DJI has announced what is maybe its most impressive achievement yet, the Mavic Air. 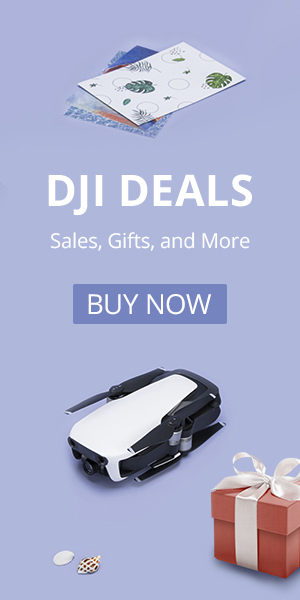 They announced the Mavic Air despite the fact that DJI is already dominating the consumer drone market with their existing lineup that includes the best-selling Mavic Pro, top-performing Phantom 4 Pro, and small cute quad, the Spark. With the release of the Mavic Air, DJI has once again upped their game, seemingly always one step ahead of their competition. The Mavic Air is the smallest and most compact DJI drone. Now the Mavic Air is slated to be the biggest hit of 2018 in the consumer market. One question we have is, will the Mavic Air cannibalize sales from its existing products? Or will the Mavic Air just grow the size of DJI’s market by bringing on more pilots? Let’s take a look at just how good the Mavic Air is and why we think DJI can maintain its existing line-up (at least for a short time) while making the Mavic Air the biggest hit of 2018. The Mavic Air is a compact and portable drone that takes spectacular pictures and video. The Mavic Air fits right in between the Spark and Mavic Pro. The specs on the Mavic Air are impressive. It is positioned in most ways between the Spark and the Mavic, but with some key features that neither the Mavic Pro or the Spark have. It has a sleek new look that we think makes it a more attractive drone than either of its predecessors. Let’s see how they stack up. The Mavic Air is a bit bigger than the Spark but ultimately more portable due to the folding arms. How Does the Mavic Air Compare to other DJI Drones? 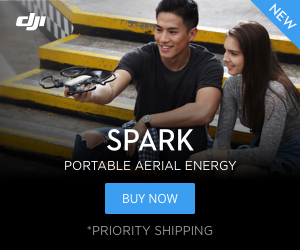 The Spark, Mavic Air , nd Mavic Pro are the most portable of the DJI drones. We summarized all of the facts for you in the table below. It can be a lot to digest, so we will walk you through the most important comparisons. We also have in-depth articles comparing the Mavic Air to the Mavic Pro and Spark. Click on the links below if you want to learn more. See how the new Mavic Air stacks up. The 3-axis gimbal of the Mavic Air is a marvel of engineering. The Mavic Air will have a flight time of 21 minutes and a range of 4000 meters. The flight time is better than the Spark’s 16 minutes but noticeably less than the 27-30 minutes you can get with the Mavic Pro Platinum. With a range of 4000 meters, you can fly the new Mavic Air over 2.5 miles before losing reception. While that is less than range than its larger siblings, the range of the Mavic Air is more than enough for most situations and is farther than most of us should be flying anyway. The Mavic Air check in just under one pound without the propeller guards. The Mavic Air weighs just over one pound with the propeller guards. When we look at the size of the new Mavic Air it slots in between the Spark and the Mavic Pro. It is actually smaller than both drones when folded up, which makes it even more portable than the Spark. The Mavic Air’s compact folded design and light weight will make it an even more popular option for adventure travelers who want to shed as many pounds as possible from their luggage. The portable remote of the Mavic Air also folds up for portability. Like the Spark, the Mavic Air can be flown with or without a remote control. The Mavic Air has even more advanced gesture controls and can perform more tasks without the remote. We highly recommend flying with the remote as it adds another level of control and allows the pilot to take advantage of the 4000-meter range of the Mavic Air. The newly-designed remote is compact and the gimbal sticks are removable to aid in storage. Another new feature of the Mavic Air is built in memory. With 8 GB of internal memory, you are not at risk of missing an aerial shot if you forget a memory card. For those of you who are graphically oriented, we put together a graphical representation of the specs on DJI’s top consumer drones. Everything in the graph is baselined to DJI’s consumer flagship drone, the Phantom 4 Pro. For example, the flight time of the Spark is just 16 minutes, which puts it in at about half of the 30 minutes you get with the Phantom 4 Pro. As you might expect, the specs tend to get better on the more expensive drones from DJI, but that is not the case for all features. Here is how the drones stack up against each other. When it comes to size, a lower value is better. The Phantom 4 Pro is the biggest and heaviest of the consumer lineup. In all other cases, a bigger number is a better number and the Phantom 4 Pro has the highest values in all cases. The Mavic Air isn’t much larger than a can of Coke. The Mavic Air features a 12 MP camera capable of capturing 4K footage at up to 30 fps. That will be improved further with the ability to use HDR to enhance your photos. Unlike the less expensive Spark, the Air’s camera will sit on a three-axis gimbal that will make sure you get ultra smooth footage. The Spark has electronic image stabilization to compensate for the lack of a yaw gimbal. The gimbal of the Mavic Air has a lot more travel than that of the Spark. Like other DJI drones, it has a handful of useful video and flight modes including orbit, waypoints, and active track. The Mavic Air has all of the video modes you love and introduces two new modes, Asteroid and Boomerang. Asteroid incorporates a tiny planet 360-degree view then spirals downward. Boomerang is another orbiting option that varies the flight path and speed for a unique shot. There is a lot of travel on the newly designed Mavic Air remote. You can fly all of these modes with confidence as DJI has improved their obstacle avoidance technology and has put sensors on the front, back and bottom of the Mavic Air. There are seven cameras that work together to help ensure a safe flight for your prized possession. Once again, we created a graph to break down how the DJI consumer drones compare. As you can see, the Mavic Air seems to have all the features your average consumer might want – a fully-stabilized 4K camera that can shoot 12 MP HDR images. It can’t shoot at the same frame rate as its larger siblings but it certainly outperforms the specs on the Spark camera. Take a look at how the DJI cameras compare to each other. Be sure to check out our dedicated article for a detailed look at the image quality of the Mavic Air compared to the Mavic Pro and Spark. The carrying case you get with the Mavic Air Fly more package is well designed. Like the Specs, the price of the Mavic Air is positioned between the Spark and the Mavic Pro. The price will be low enough to lure in customers who were apprehensive at the Mavic Pro’s $1000 price point. We think the $799 entry price of the drone will pull in these customers even though they will likely end up paying $999 for the Fly More Package with three batteries and a weather resistant backpack. Take a look at the Mavic Air standard package on the left and Fly More package on the right. There is no doubt that the Mavic Air the now the drone to buy. As such, it usurps the Mavic Pro, which used to hold that title. So what will become of the beloved Mavic Pro and Mavic Pro Platinum? We think that the higher frame rate and longer flight time of the Mavic Pro will mean it remains a popular choice for consumers. That said, it will eventually need to be replaced by something that has more differentiating features. We expect the Mavic 2 to be announced later in 2018. The Mavic 2 will have a bigger camera sensor, more directions of obstacle avoidance, and an even longer flight time than the original Mavic Pro. Learn more about the Mavic Pro 2 Here. The DJI Mavic Pro 2 looks to be an awesome quadcopter. DJI announced the Tello at the CES conference in early January and today we learned that they will start shipping in March. We already know a lot about DJI’s smallest quad, you can learn more in our Tello article. Or see how it stacks up to DJI’s previous smallest drone, the Spark. Learn more about the DJI Tello Here. Pingback: Autel Evo: Has the DJI Mavic Met Its Match? Evo vs Mavic. Who Will Win?